CM-QS600 is a miniature Computer-on-Module (CoM) / System-on-Module (SoM) built around Qualcomm Snapdragon APQ8064 1.7GHz quad-core SoC with high-performance Adreno 320 GPU. 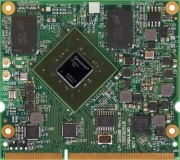 CM-QS600 brings performance and power efficiency of embedded ARM to a new level, enabling design of cost-effective compute-intensive multimedia applications at a much smaller form-factor than ever before. Designed into a tiny footprint of 65 x 68 x 5 mm, CM-QS600 comes with up-to 2GB DDR3 RAM and 32GB of on-board eMMC storage and provides extensive connectivity with dual-band WiFi 802.11, Bluetooth 4.0, Gigabit Ethernet, PCIe, USB, SATA, HDMI, LVDS, serial ports and I/O lines. CompuLab supports CM-QS600 with comprehensive documentation and full ready-to-run SW packages for both Linux and Android. With best-in-class graphics and superior video capabilities CM-QS600 is a powerful platform for multimedia demanding applications such as digital signage, IPTV and media players. Miniature size, low power consumption and cutting-edge power management make CM-QS600 an excellent solution for portable and battery-powered systems. From time to time CompuLab releases new software versions for CM-QS600 in order to fix bugs, address component changes and add functionality. It is highly recommended to subscribe to the CM-QS600 RSS Feed in order to receive automatic notifications about software updates. 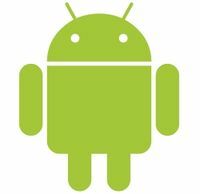 Initial Android package cm-qs600-android.14.08.1 release for CM-QS600 based on Android 4.4.3 (KitKat) for APQ8064 reference design by Qualcomm. This page was last edited on 5 July 2018, at 12:42.